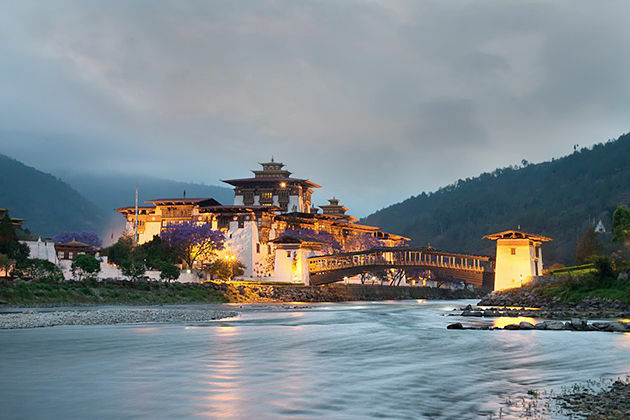 Home / Bhutan Travel Blog / Restaurants in Thimphu | Where to Eat? 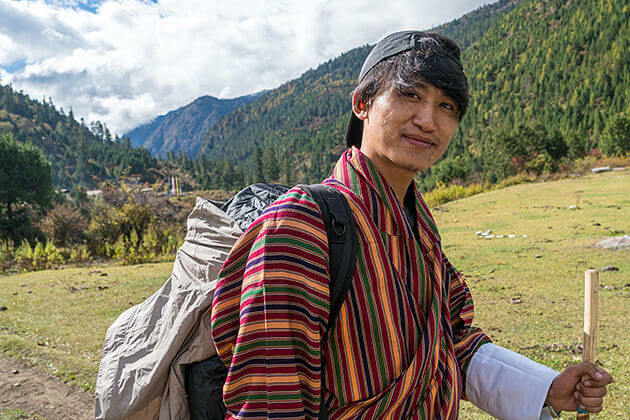 For those having Bhutan tours, they do not want to miss a chance to visit Thimphu, a place converges most of the culinary culture across the world. 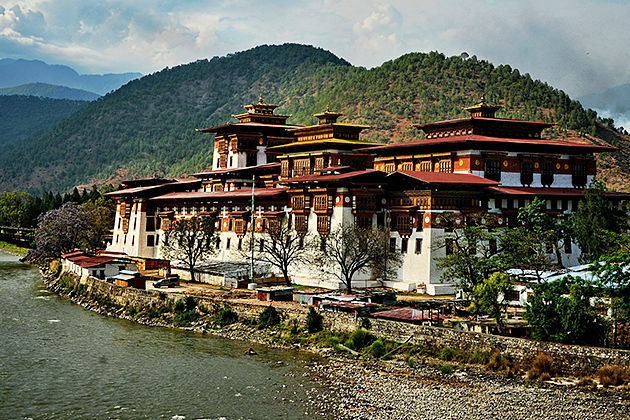 Thimphu is capital in Bhutan, so obviously its gastronomic range is much wilder than Paro as restaurants here serves manifold kinds of cuisine amongst in which are Chinese, Indian, Nepali, Bhutanese, Continental, and so on. You can easily choose a restaurant to start your day with a delicious and energetic breakfast or light and elegant dinner after being tired of a sightseeing or hikes day. 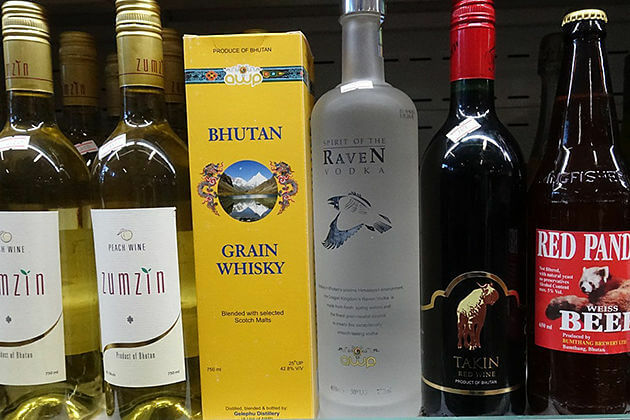 Eating options in Thimphu are varied too as you can opt yourself a fine restaurant among budget restaurants, mid-range restaurants, and upscale restaurants. A meal for two in a budget restaurant costs 800 NU or less (1 USD = 72.6 NU) while one in a mid-range restaurant costs 1500 NU or more and other in upscale restaurants costs 3000NU or more. 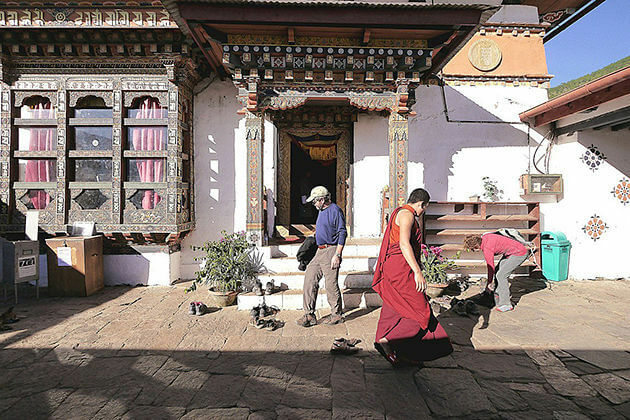 To find out more, here are some of the best restaurants in Thimphu. Thimphu itself has a very few Thai restaurants and if there is a Thai restaurant, it is definitely a good one. 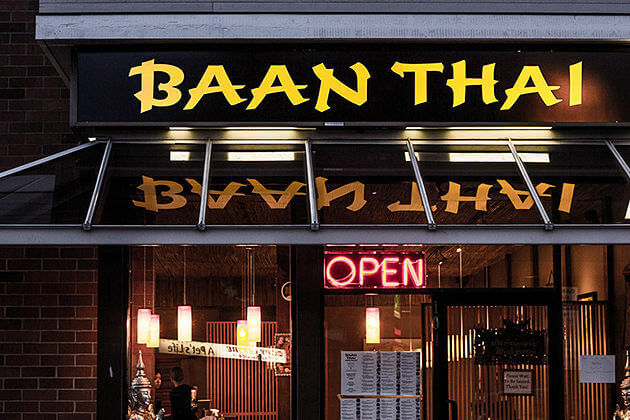 However, standing out the very few good Thai restaurants in Thimphu, Baan Thai is the best. Its outside look is not likely a restaurant and you can easily miss it if you do not have any idea of its appearance. However, the inside interior will tell you what it is. No wi-fi, no washroom but it is not problems when you visit here for food, you will not be disappointed. All ingredients are fresh and organically sourced and being cooked by the Thailand Chef. This is an explanation for its authenticity of the food. 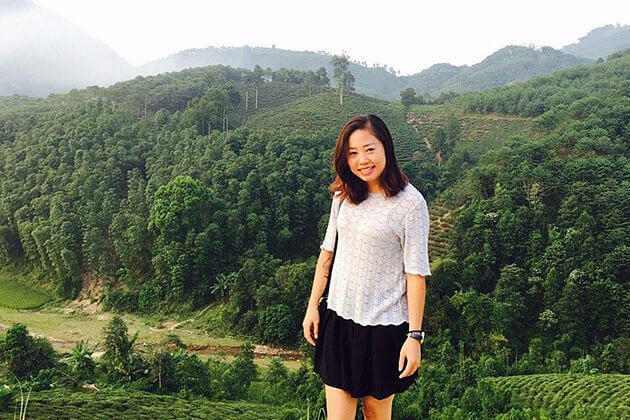 Lemongrass tea, apple tea, and green tea are some of highly recommended array of tea here. All in all, food is amazing with the top must-try dishes as the green papaya salad with the sweet and sour chicken and Thai rice. If you are a spicy lover, do not miss the beef spicy salad. If you really need some spicy soup for a cold day then Ama Kitchen will absolutely be your choice. However, you will never discover this one if you are not carefully looking out for the signboard from the main street. This restaurant is quite small and the interiors can get cramped if there are too many people here. However, foods are delicious in a burning way with the super-star of the restaurant fried chicken ribs with BBQ sauce. For one who loves singing, there is a Karaoke place and a nightclub for one who loves enjoying the nightlife, just under the Amal banner. It is not expensive for having a meal here. If you are a person who is not really into the ambiance, the Ama’s Kitchen will satisfy you. This restaurant is considered a favorite one of tourists and local either as you can see Zomba La 2 is always overflowing with customers who are momo lovers. Both excellent Bhutanese and Chinese foods are served here and most especially that each dish will have a free bowl of soup accompanying. For one who is vegetarian, he or she can also opt manifold kinds of food here from pakoras, Emma datshi to asparagus noodles that are rarely found in budget restaurants in Thimphu Bhutan. You are a vegetarian then you will have limited options in Bhutan. However, you can go to Prabin which is a pure vegetarian restaurant serving North and South Indian food with vegetarian momo. 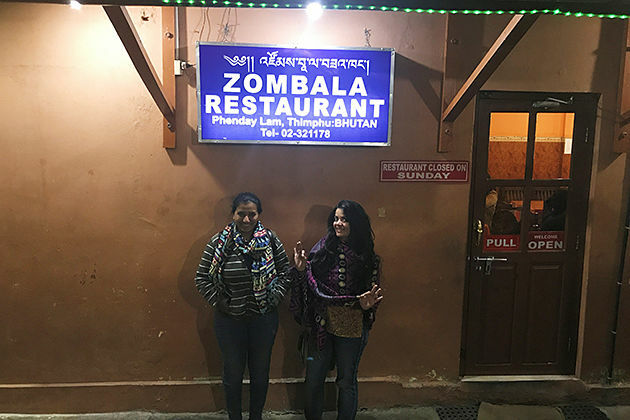 Closely located to most big hotels like Thimphu Tower, Norbuiling, and so on, you can easily reach to the Prabin for a vegetarian dish as dosa or Paratha. The cook is an Indian and the manager is Bhutanese dweller, so they are not really comfortable with English. Situated near the Clock Tower, going to Bhutan Kitchen can be a shopping-dining experience as the restaurant has a Handicraft store downstairs. You can get into a view of the entire Thimphu city and the football ground either. The seats here may be uncomfortable for one having a back problem as they are mostly arranged low with traditional wooden cutlery. Talking about food, chilies, cheese, or ema datshi is one of the restaurant’s specialties. You have to try out red rice as it, somehow, does wonder for your health. A perfect place for a night hang out, The Zone is highly recommended by tourists and local dwellers mainly for its clean facilities. It provides a smoke-free zone that smokers will not flank others who are non-smoke people. The Zone is a favorite night pub of tourists due to its good music and smiling cheerful staff. It also serves food and the cheeseburger, as well as pizza here, are the best in Thimphu along with burgers and roasted beef sandwiches. 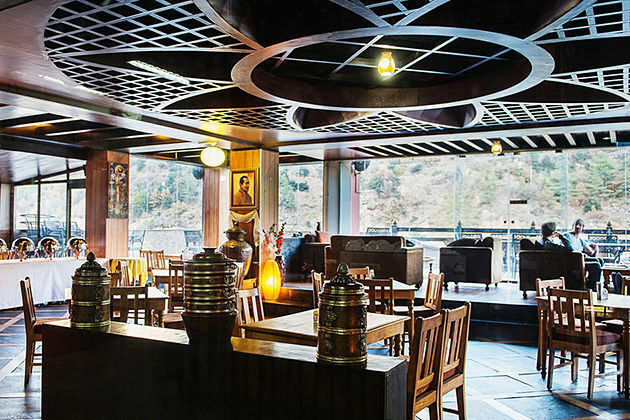 With the rustic decoration and hospitable staff, this restaurant is considered one of the top Indian restaurants of Thimphu Bhutan that has a loyal following of guests who love to get into a dinner with a beloved partner. 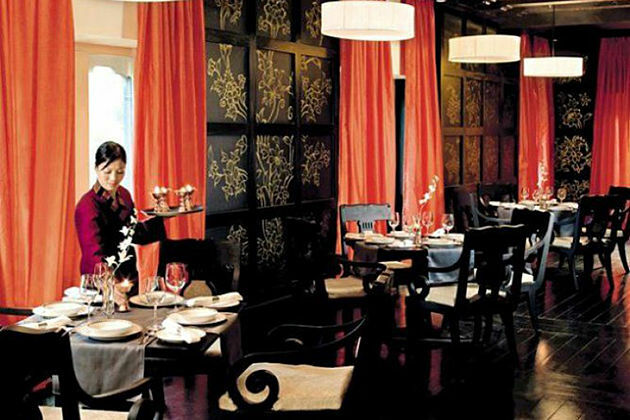 The Chh’a Bisto & Bar serves varied cuisines from China, Bhutan, and some other Asia. Indulging yourself in the stunning view and drinking beers are the best thing that you want to do here. 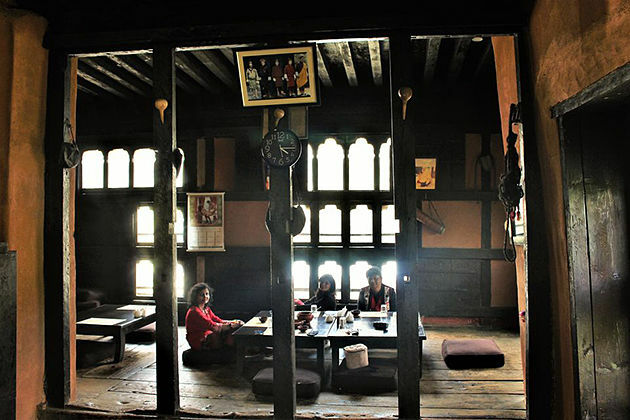 All in all, The Chh’a Bistro & Bar is truly one of the best Indian restaurants in Thimphu, Bhutan. 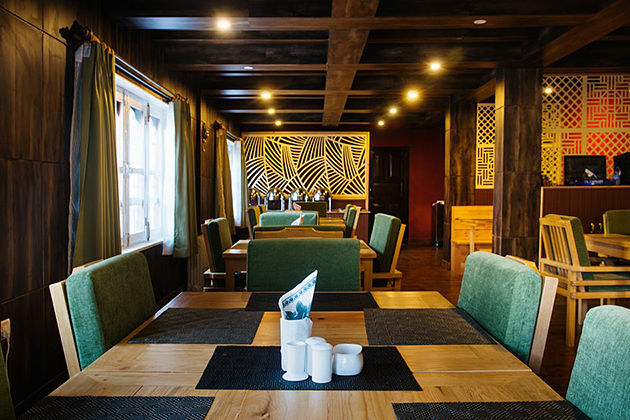 A combination of traditional Bhutanese decoration and a contemporary Western hotel, Chig-Ja-Gye, one of the very best Thimphu restaurants really makes sense. It offers a view of the entire Thimphu mountains, inside the restaurant, it is extremely elegant with gold-leaf paintings and beautiful dhungs which are contrasted with modern luxurious seating arrangements. The name of this restaurant, Chig-Ja-Gye, is gotten from the 108 earthly temptations, gluttony and greed feature in Buddhist text. Coming to the Chig-Ja-Gye, you have a wide range of food options from non-vegetarian to vegetarian and most importantly, they are scrumptious. 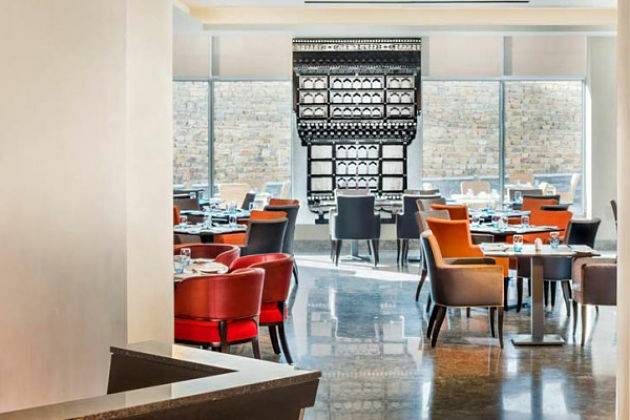 The best of the best Thimphu restaurants, Latest Recipe, a restaurant at the Lobby level of the 5-star hotel – Le Meridien, is a great one for one who wants to bump into Continental food culture in the modernist ambiance. The Latest Recipe has the capacity to seat 78 people, however, in peak season, the restaurant is packed. You can find here the amazing finger licking fusion food that skillfully harmonizes with different cuisines across the world. You can take a seat in an area that allows you to have an overlook the Live Kitchen or you can sit near the outdoor fire pit. The menu of Zasa is quite limited, but I have to say that food in such a restaurant is scrumptious and totally fresh. Once there, you should try crisp veggies in sauces and beef dishes that, in my opinion, really made my day because of its unique flavor. Along with the high-quality meal, I seemed to be fall in love with the owner as she was a really sweet and adorable lady. Generally, you should not miss Zasa restaurant. 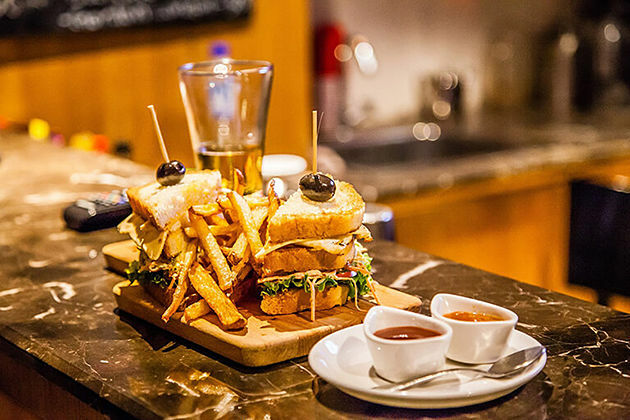 Once there, you literally can enjoy both the commodious ambiance and delicious food. 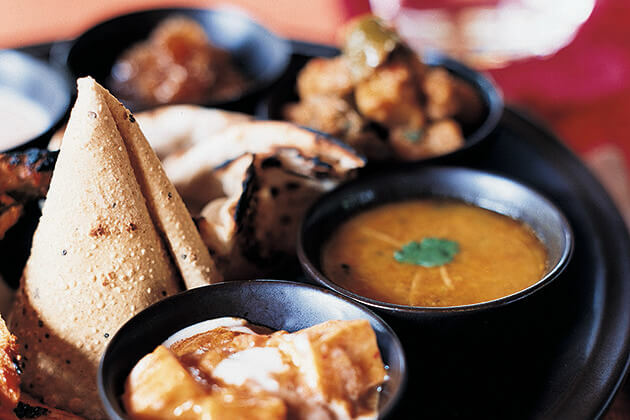 Talk about food, the restaurants offer a variety of dishes like pizza, hamburger, sandwich and honestly, I was really into Indian dishes there as it was really good and freshly prepared. About the atmosphere there, the Upstairs restaurant will absolutely surprise any individual coming there as it is really spacious yet cozy, with the stunning view outside. Food in this restaurant is really tasty, especially butter tea, it is a perfect match if there is a cold night as it is likely a heater to the cold soul. Not only butter tea, but other Bhutanese dishes are delicious too. Staff are hospitable and warm and if I had to say, I love this restaurant. This downtown restaurant is preferred by both the locals and tourist. The Cousin Restaurant also offers a buffet-style meal, but the meal has more selection than hotel buffets with additional momos as well as egg dishes. Overall, it is a good restaurant. If you are looking for the restaurant for a family meal, then why don’t you come and enjoy with them. The veggies here is so good as well as Indian dishes. Good food along with extraordinary service and reasonable price, then you can find what the best dining time really is.